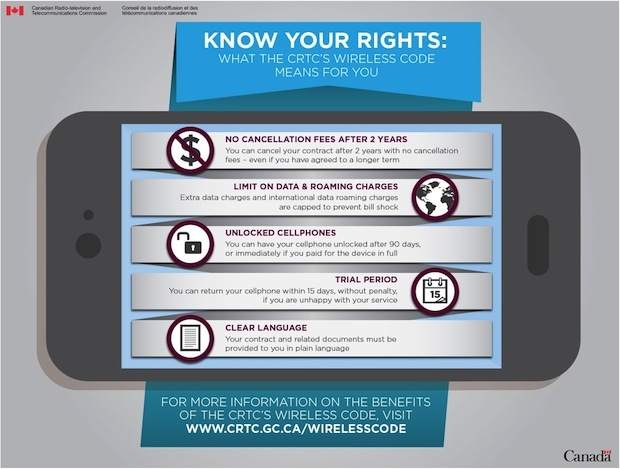 Those who signed a three-year wireless contract before June 3, 2013, may be tempted to open a bottle of champagne, since it is time to celebrate: The “dark age” of three-year contracts is over for (some) Canadians. Today marks the final stage of the industry’s transition toward two-year contracts. That’s why we are calling this day Cell Phone Freedom Day via Open Media. What this means to you is the following: As of today, if you signed a contract before June 3, 2013, you are free to walk away without paying a penalty. Those who signed a three-year contract between June 3 and December 2, 2013, will be able to walk away as soon as the minimum required 24 months have passed since they signed up. You can cancel it anyway, if you want to, but you will have to pay at most $50. […]three-year contracts which have run for more than 24 months can be cancelled without payment of cancellation fees, as the Code requires such fees to be reduced to zero within 24 months. 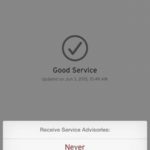 Cancellation of three-year contracts in which the customer received a device subsidy but which have not yet run for 24 months (those entered into between June 3 and December 2, 2013) may still require payment of a cancellation fee. – you can return your phone within 15 days without paying any penalty fees if you don’t like what you got. This is just a simplified list of the benefits of the Wireless Code. For the full list, you can visit the CRTC’s website. Will you be switching to another carrier?